"We tend to think that demographics is destiny," says Timothy M. Renick, vice president for enrollment management and student success at Georgia State U., "but we can make positive changes by having a really targeted intervention." Even modest financial hardships can often derail students who are nearing graduation. That’s why some colleges give small awards known as completion grants to low-income students who are well on their way to earning a degree. A just-in-time grant of even a few hundred dollars can keep many recipients from dropping out, according to a report released on Monday by the Coalition of Urban-Serving Universities and the Association of Public and Land-Grant Universities. The report, "Foiling the Dropout Trap," describes how 10 colleges are using similar aid strategies to help students overcome financial shortfalls and stay enrolled. Although officials at those institutions offer promising appraisals of the grants, it’s important to think of the awards as just one potential piece of the completion puzzle. Colleges that develop such programs should not view them as "stand-alone levers to boost student achievement, retention, and graduation rates," the report says, "but rather as one component of a comprehensive student-success effort." Timothy M. Renick seconds that thought. 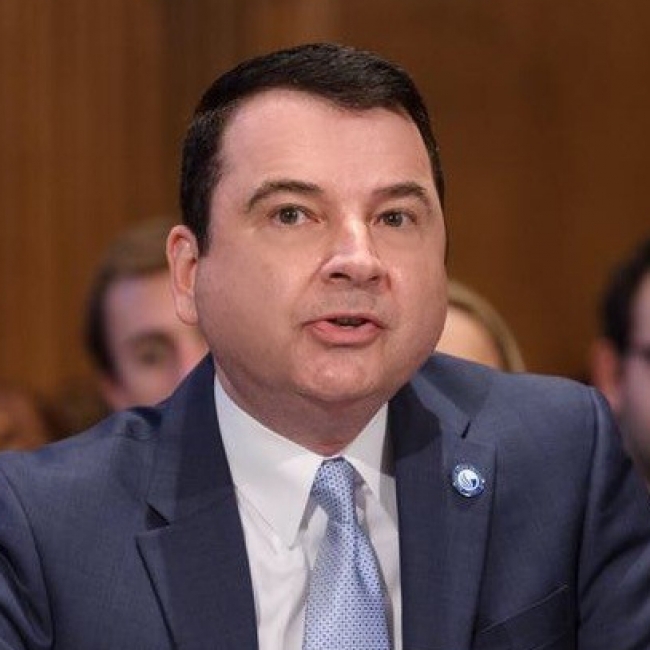 In an interview with The Chronicle last week, Mr. Renick, vice president for enrollment management and student success at Georgia State University, described what his institution has learned since creating the Panther Retention Grant Program, in 2011. The program, which is noted in the report, helps students pay their outstanding tuition balances. The following is an edited version of that conversation. Q. Tell us about Georgia State’s completion-grant program and the circumstances that led to its creation. A. We have an atypical student population — almost 60 percent of our undergraduates are Pell-eligible. We were dropping over 1,000 students every semester because they could not pay their bills. The biggest subgroup was seniors who were progressing toward a degree but running out of various sources of aid — Pell, Hope Scholarships, loans they may have had. Q. Were these great students? Pretty good students? Whom have you focused on? A. There are students who have been taking all the right courses, who have been doing everything right by most measures, and yet they were stopping out right close to the finish line. There was a subset who didn’t owe a lot of money, $300 or $800. So with $40,000 in seed money from our president, we created this program that would look for students who had unmet need, and who by our academic analytics were on track for graduation, and who owed the least amount of money. They might have had a 3.0, they might have had a 2.0. Q. Besides being on track, what were the characteristics of students in that group, in general? A. When you look over four years, the grant recipients skew less white and less affluent than our student body over all. A large subset were first-generation, low-income students. What’s encouraging is that these are students who are not by definition those most likely to succeed. The fact of the matter is sometimes it takes just a little boost — the grants are $900, on average — to begin to level the playing field. We tend to think that demographics is destiny, but we can make positive changes by having a really targeted intervention. Q. What did you tell students who might’ve been anxious about not being able to pay their bill? How do students who are about to be disenrolled respond when they hear that the grants would pay off some or all of what they owe? A. In the first couple of semesters, we started calling them on Saturday, telling them they could still go to class the following Monday. We had students hanging up on us. They thought it was a scam. We were saying, "We understand you have a $700 gap in your bill. Show up on Monday morning, be ready to go." The most positive and unexpected thing about this has been its effectiveness in changing campus attitudes. If you’re a first-generation student scraping to pay for it all, you can feel pretty beleaguered, that the university isn’t there to help you. For students who never thought there was anyone watching out for them, it has meant something for the university to say, "We want you to graduate." Q. Tell me about the results of the program so far. How is the university defining success? A. Now we’re helping over 1,000 students every semester. Last year there were at least 400 students who graduated who, in the past, would’ve stopped out or dropped out. We have an 88-percent retention rate for students who get the grant — meaning they either graduate or are retained — and that’s higher than for the student body over all. One caveat here is that you can’t ultimately say what would’ve happened to students if they hadn’t gotten a grant. But if you’re a senior who gets the grant, you’ve got a 70-percent chance of graduating in two semesters. Q. The report suggests strongly that a completion-grant program alone won’t help a college graduate more students. Why not? A. Before you can award the grants, you’ve got to have your data in place. Unless you have the right data, you may be throwing money away by giving it to students who aren’t going to finish up their degrees. And once a student has the grant, it’s important to have other programs that support them. We make all grant recipients sign a contract saying they have to do certain things in return. A. They all have to sit down with a financial counselor so they can work out a plan for financing their education, paying back loans. Another part of it is sitting down with an academic adviser, who might say, "If you take these three courses, you’re outta here!" That can help reduce their financial costs as well. Q. What has this program taught the university about what it might enhance or do better? A. We have other students whom we are not able to help because their gaps are so much larger, who’ve already dropped out. So we haven’t been proactive enough about addressing this on the front end, using financial analytics and early alerts to see if we can identify these students early on. Something as simple as saying to students who are local, who could live at home the first year or two: "We see you’ve just signed up for a single room in university housing, and we see in your financial-aid package that you don’t really have enough money to cover this over the long haul." Q. Someone might look at your completion-grant program and wonder how a few hundred dollars could really make a big difference. What would you tell them? A. You have students who are walking a very thin line. There’s no safety net around them. Many of them don’t have parents who are supporting them through college. So you might say, "It’s only $900," but for those who are stretched to the max, who are working to support themselves and living paycheck to paycheck, $900 might be like $9,000. Eric Hoover writes about admissions trends, enrollment-management challenges, and the meaning of Animal House, among other issues. He’s on Twitter @erichoov, and his email address is eric.hoover@chronicle.com.